Half of a coconut sitting on a plate, next to a spoon. Coconut Cream Concentrate is a trademarked name for coconut butter. 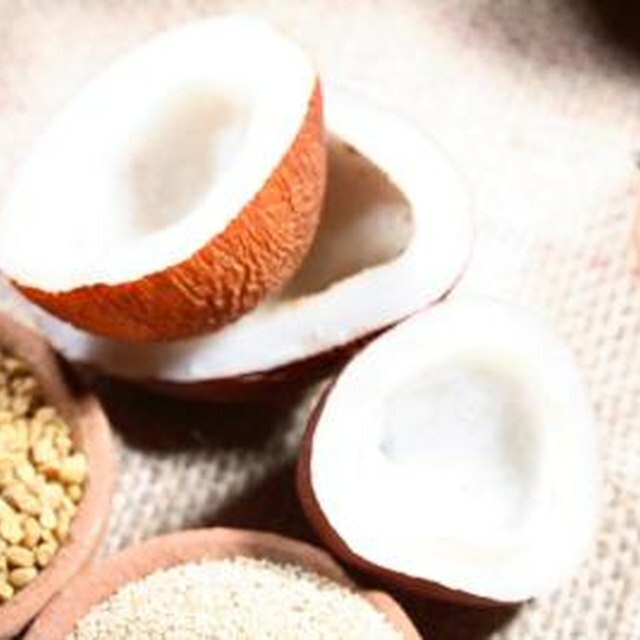 The two items are the same thing, referring to pureed, dried coconut meat that -- because of coconut oil's specific properties -- is solid at room temperature. You can buy coconut butter at specialty grocery stores and health food stores, or you can make it at home. Coconut butter is made by blending dried coconut meat until the oil extrudes from it and the flesh has become powdery and sandy. 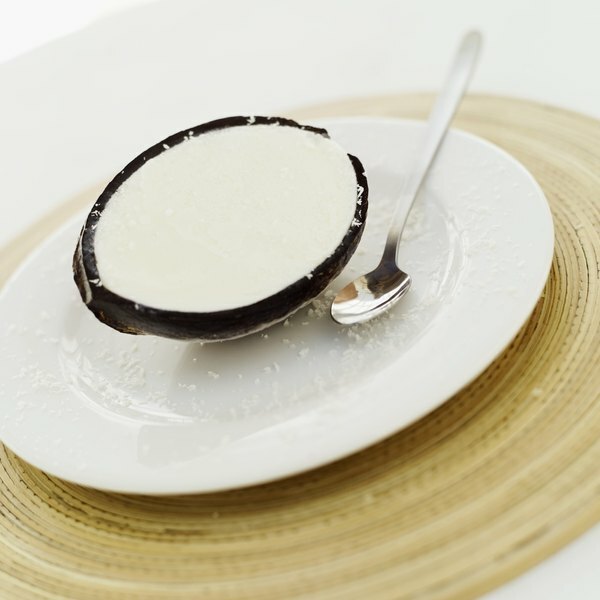 Pureeing dried coconut meat for 15 minutes in a high-powered blender will produce a thick, buttery paste. The consistency of coconut butter depends on temperature. At warm temperatures, it is a thick liquid, while at cool temperatures, it solidifies. Store coconut butter in a sealed container in the fridge. You can use it as a spread on toast or liquefy it by heating it gently; serve it as a condiment for fresh fruit.